New Award | Dr Gholam Peyman MD. UA team one of 21 in country funded through new National Science Foundation Program. TUCSON, Ariz. – October 6, 2011 – Research developed by University of Arizona (UA) faculty is among the inaugural class of 21 projects to garner funding from the National Science Foundation’s Innovation Corps (I-Corps), which aims to guide research with commercial potential out of university laboratories and into the marketplace. 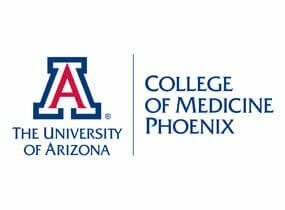 The UA team is headed by associate professor of engineering Eniko Enikov, who, along with professor of basic medical science Gholam Peyman, developed a technology that would allow glaucoma patients to measure changes in eye pressure at home. Enikov’s I-Corps team includes Vasco Polyzoev and Emre Toker. Polyzoev completed his doctoral studies under Enikov’s advisement, and also participated in the top-ranked McGuire Center for Entrepreneurship, where his venture team developed a plan around the same technology. Toker is an entrepreneur and mentor-in-residence with the McGuire Center for Entrepreneurship at the Eller College of Management. The team will receive guidance from private- and public-sector experts, participate in a specially designed training curriculum, and receive $50,000 to begin assessing the commercial readiness of its technology concept. “I-Corps has generated tremendous excitement,” says I-Corps program officer Errol Arkilic. “Our first round of awards emerged from a wide array of fields and strong fundamental research efforts. All show promise as potential innovations that could yield additional direct benefits to society.” The program is designed to support up to 100 projects annually, at $50,000 each, for up to six months. Researchers who have active NSF grants are eligible to apply. The UA generates $600 million in research and gives the state an annual $2 billion boost and is ranked #16 among public universities in the country by the National Science Foundation.